Save Money and Save Energy with TechfitUK! Advances in energy saving window film technology mean it can now be an efficient and affordable choice for increasing the energy efficiency of your building, contributing to savings in both your finances and the environment. Solar protection (also known as Solar Reflective) window film works by reflecting away unwanted solar energy before it enters your building, ensuring a more moderate, comfortable temperature. In turn, this means less reliance on air conditioning units and cooling systems, resulting in reduced energy usage and costs. Techfit UK offers a range of films that can assist with energy efficiency, with the most effective rejecting up to 85% of solar energy. Techfit UK film is applied directly to glass, forming a barrier to solar energy that is proven to be more effective than traditional methods such as blinds, and more cost effective than expensive replacement glass. Our range of energy saving window film is available in a variety of finishes and grades, including an external grade film for when an internal installation is not possible. Installation is carried out by fully trained and vastly experienced teams of professional fitters who are able to carry out installations of any size in any situation, including large panels and expanses of glass, and specialist installations such as roof glass and windows at height. For more information on how window film from Techfit UK can improve your energy efficiency, please click on the links on the left, then call 0191 4206351 to speak to one of our team. In the correct circumstances window film has been proven to lower energy bills for cooling by up to 30%. Call us on 0191 4206351 to discuss how window film can help you save both money and the environment. With energy prices continuing to rise, windows and glazing offer an excellent opportunity to cut down on energy consumption and to save money. As well as cutting down on greenhouse gas emissions and reducing your premises carbon footprint, an application of energy saving window film can reduce operating costs by cutting down on the need for air conditioning and cooling systems. Techfit UK supply and install a range of films that once installed will help prevent solar energy entering your premises and building up to create an uncomfortably hot environment for your workforce. Window film is applied directly to the glass, allowing it to reject the heat before it enters the building, making window film a more effective solution than traditional methods such as blinds. 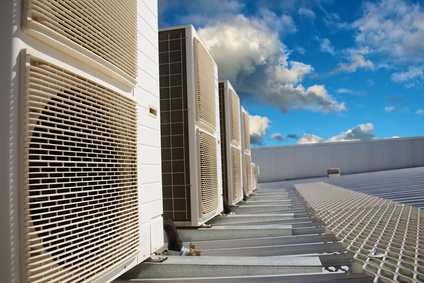 By ensuring a more moderate and stable interior temperature, air conditioning systems are put under considerably less strain leading to reduced costs. Research has shown that energy saving window film can reduce the energy used for cooling by up to 30%. An application of window film is a cost efficient solution to an increasing problem. Blinds can be expensive and ineffective, whilst replacement glazing is an expensive and time consuming alternative. Window film can be applied to glass with the minimum of intrusion, and as soon as the film is fitted, the benefits will begin to be realised. Please note: To help us to calulate what energy savings you could make with a window film applied, we need to know what your current heating and cooling spend is. This means your building needs to have a separate metered supply. If you do not have this, rest assured window film should help you make savings, it is just that without the info we cannot calculate a return on investment.